Back in late spring when I started working on Christmas gifts, I have to admit that despite recognizing that the decision was quite practical, I did feel a tiny bit silly. Christmas was a long way off and my tomatoes were hardly anything more than stubby plants with a few blossoms. I thought it would be wise to get a head start. I'm glad I did, because we're down to the wire here and i'm still plugging away. And at a slower pace, and with less sleep, might I add.I'm getting closer and closer to being finished though and I think i'm actually going to make it. 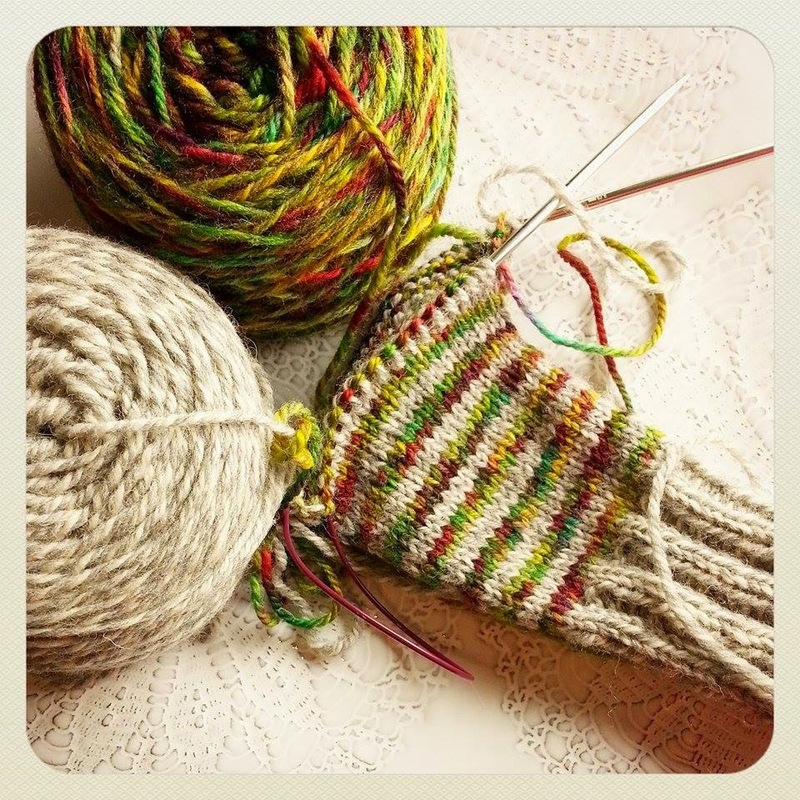 This week's two biggies: one more hat (yep, still working on those), a pair of mittens, and just finished, a sweet little toy octopus for a friend's baby. 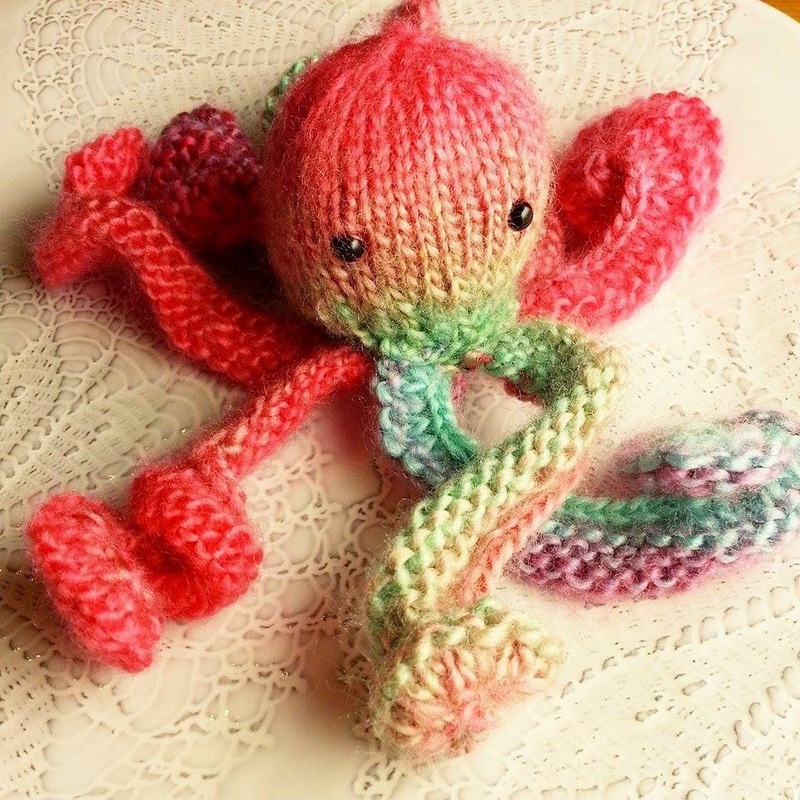 The octopus I made for a friend's baby. It was a fiddley little thing to make, but I rather enjoyed watching it unfold and come together. 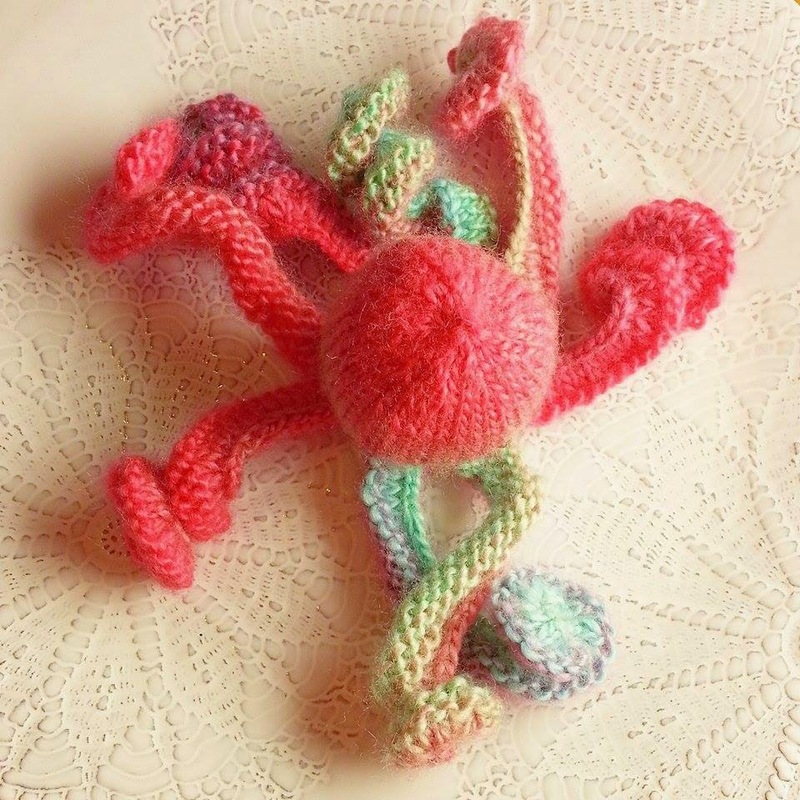 Those tentacles are kind of addictive to knit, so boingy and all. I had to wait to piece her together until my safety eyes (and felici sock yarn!!!) arrived from knit picks. I think she looks mighty suspicious, don't you think? It's those beady eyes.